This recall was bound to happen given that Maclaren performed a voluntary stroller recall a few months ago, issuing hinge covers for over 1 million strollers due to the risk of finger amputation or laceration. Basically, if your kid were standing next to the stroller while you were folding it open or closed, and he or she put their hand into the hinge, you are going to fold their fingers into the hinge and potentially cut them off. Maclaren handled the recall by issuing small black zippered canvas covers that go over the hinges. These seem to do the trick of protecting kids from harm, and they aren't an eyesore in particular. The only drawback of these covers is that it makes folding the stroller somewhat difficult given that the canvas shield gets in the way. To learn more about the Maclaren stroller recall, click this government link. 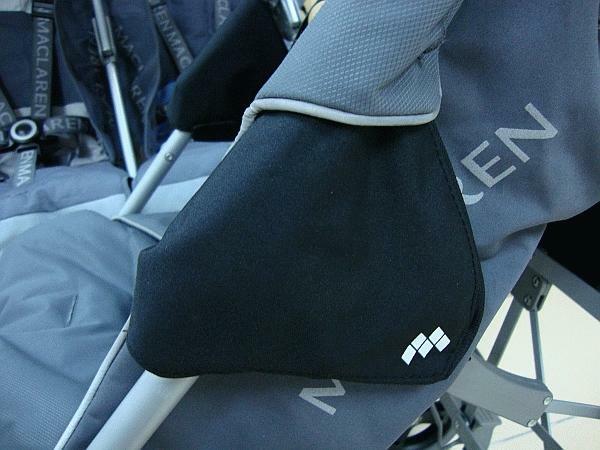 Below is a picture of our Maclaren stroller with the hinge covers installed. A few points worth noting: first, parents were in a tizzy over the recall of Maclaren strollers, leading many to avoid purchasing a Maclaren and also many to sell theirs on sites such as EBay and Craigslist. In my opinion, the majority of strollers on the market likely carry similar risks, and this is just the beginning of a series of recalls to be issued by many of the major stroller manufacturers. Second, perhaps some kudos are in order for Maclaren for being the first to step up to the plate and willingly issue a recall of over 1 million strollers. I suspect that all of the major stroller companies have received at least a couple reports of finger lacerations or amputation. Personally, what was done by Maclaren represents the type of forward-thinking and proactive company ethics that I would like to have representing my strollers; not to mention how well-reviewed they are. Disclaimer: We own and love the Maclaren Quest Sport.